Daleys Turf is a family owned and operated turf farm which commenced operations in 1992, since then we have expanded to meet the growing demand for quality lawn. In the early days everything was done by hand, now days they have all the machinery to better serve their customers, even palletless deliveries. Daleys has trialled others grass types over the years, but now, with all their experience, the most suitable lawn is ‘Sir Walter’. Daleys Turf was the first on the Sunshine Coast to grow and sell a soft leaf buffalo. In the quest to find the best lawn, they tried several soft leaf buffalo varieties, until they found ‘Sir Walter’, the best all rounder. Daleys have been growing it for 9 years now and it has stood the test of time, which is the only true way to test a lawn. Daleys Turf has 9 employees – of which 4 are from the ‘Daleys family’ – and that makes a difference when it comes to producing the highest quality possible. Daleys Turf’s service to their customers is unmatched; deliveries can be done the same day. 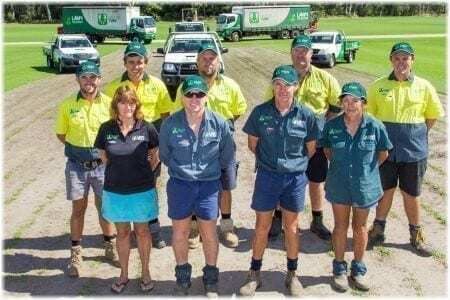 They concentrate their business on the coast which gives them the ability to offer a great back up service to any one that owns Daleys Turf lawn. Daleys looks at your turf as a life long investment that should be a source of enjoyment for years to come. Daleys Turf met ‘Sir Walter’ because they had a need for a soft leaf buffalo that could handle the conditions on the Sunshine Coast. The other buffalo that they were growing at the time were causing problems, so in their search for a quality product to grow they found Mr Brent Redman, or Mister Sir Walter. He had the answer, a very versatile turf grass that performs like no other grass: Sir Walter Premium Lawn Turf. Back then they only grew small amounts of buffalo, but now, 80% of their turf area comprises of ‘Sir Walter’. 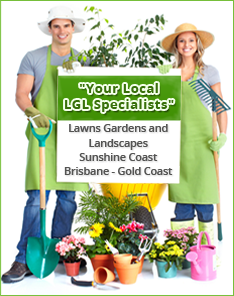 Daleys Turf is proudly part of the Lawn Solutions Australia group – a group of approximately only 46 licensed turf growers across Australia. 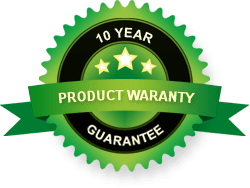 The underlying difference between Lawn Solutions Australia and other turf groups is the accreditation system, AUSGAP – an industry first.